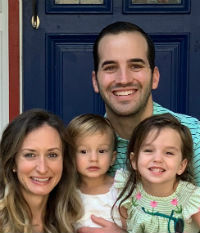 Just 30 years old, David Fishel is one of the youngest producers to earn the title of executive vice president in Higginbotham’s 70-year history. Before joining Higginbotham in 2013, Fishel helped open the Fort Worth office of Talon Insurance Agency, which was later acquired by Higginbotham. While Fishel has clients across several industries, he focuses on the construction, manufacturing and oil & gas sectors. In addition to being a producer, Fishel helps mentor and run Monday morning meetings for new producers and serves on the firm’s sales strategy advisory committee, which helps with special projects. Fishel gives back to his community through Make-A-Wish and the Fort Worth Ronald McDonald House. He’s also a recent graduate of Leading Edge, a leadership program for young professionals in Fort Worth.